Energy Experts is a new professional designation of Alicia Air Conditioning & Heating. Established in 1980, Alicia Air is Orange County's premier full service, factory authorized Carrier dealer providing comprehensive Carrier sales, installation, maintenance, and repair services to Placentia homeowners at affordable prices. At Alicia Air, our knowledgeable, NATE certified, factory-trained technicians are able to service and repair all major brands of heating, cooling, and ventilation systems, and have done so for thousands of satisfied clients throughout Orange County and the surrounding areas during our over three decades in business. And now, Alicia Air is proud to add the designation of Carrier Certified Energy Expert to our extensive list of professional credentials. As a Carrier Energy Expert, we can now perform a Carrier 360° Whole Home Energy Audit for our valued Placentia clients, taking into account several factors that are crucial in formulating solutions that will remedy issues concerning overall home comfort, energy efficiency, as well as indoor air quality. In our commitment to this approach, the Energy Experts at Alicia Air seek to provide the optimal heating, cooling, and ventilation solutions for our residential clients, solutions which take into account not only their year round comfort level, but also their health and wellbeing, as well as their concerns with saving as much money as possible on their monthly energy bills. Call the HVAC specialists at Energy Experts (Alicia Air Conditioning) today, for the most innovative, comprehensive evaluation possible of your Placentia's residential HVAC system's performance and energy efficiency, as well as for any and all concerns you may have about your home's indoor air quality. The professionals at Energy Experts (Alicia Air Conditioning) are licensed, bonded, and insured. As a Certified Carrier Energy Expert, we can now perform a Carrier 360° Whole Home Energy Audit for Placentia homeowners, a comprehensive inspection of their homes which takes many crucial factors into account in order to provide them with personalized solutions to their household's heating and cooling needs as well as resolve any problems with indoor air quality that their home's occupants may be experiencing. At Energy Experts (Alicia Air Conditioning), our comprehensive, whole home energy audits can help your home HVAC system to function at its best. Many Placentia homeowners install high efficiency HVAC systems and do not realize the lowered energy costs that they are entitled to by choosing to purchase these innovative heating and cooling systems. 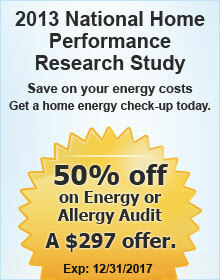 Call the Energy Experts at Alicia Air today to schedule an affordable whole home audit of your Placentia home. We service all of Orange County and its surrounding areas, and are licensed, bonded, and insured. Are you concerned that your home's indoor air quality may be having a deleterious affect on your family's well being? Many Placentia households are concerned about poor indoor air quality, due to the fact that they have family members who suffer from health issues such as allergies and asthma. At the Energy Experts (Alicia Air Conditioning), our whole home approach to home heating, cooling, and ventilation services is an effective means of diagnosing any troublesome air quality issues within the home. The typical home experiences a significant amount of air infiltration through crawlspaces, attics, and attached garages, where incoming air can be contaminated by unhealthful air pollutants such as mold spores, radon gas, insulation fibers, volatile organic compounds, and crawlspace moisture. Moreover, leaky ductwork is the main source of this unhealthful incoming air. At the Energy Experts (Alicia Air Conditioning), we can repair or replace poorly functioning ductwork, to improve the indoor air quality of your home. In addition, our affordable indoor air quality remediation services will also result in increased home HVAC system efficiency, and will lead to lower heating, cooling, and HVAC system maintenance bills. Improperly functioning ductwork systems can be a major cause of Placentia home HVAC system inefficiency, as well as a cause of poor indoor air quality. Let the Energy Experts at Alicia Air diagnose and resolve any issues you may be experiencing with your home's existing ductwork system. At Energy Experts, our ductwork testing criteria meets the stringent energy efficiency standards established by the Building Performance Institute (BPI), a national standards development organization for residential energy efficiency and weatherization retrofit work which is accredited by the American National Standards Institute (ANSI) as an approved developer of American National Standards. 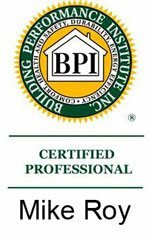 Moreover, the BPI Standards program has an unmatched reputation as the home performance industry's leading national body. Call us today. Air infiltration and exfiltration into and out of your home through your Placentia home's thermal envelope (made up of your home's roof, floors, exterior walls, windows, and doors) can constitute a major impediment to maximum home heating, cooling, and ventilation system performance. In addition, uninsulated or improperly sealed ductwork can also be a major contributor of home HVAC system inefficiency. In fact, a recent government study conducted by the Department of Energy found that 25% to 40% of the conditioned air produced by a typical home's heat pump, central furnace, or air conditioner leaks out of underinsulated, unsealed, or damaged ductwork before it ever reaches the home's living space. Instead, this conditioned air is wasted in unlived in spaces such as attics, crawlspaces, and garages through which the ductwork traverses. At the Energy Experts (Alicia Air Conditioning), we can fix this problem. Our innovative, state of the art leak testing technology will determine points of air leakage within your Placentia home's thermal envelope and ductwork systems, so that they can be remediated through our affordable insulation, duct sealing, and duct replacement services. Don't let air leakage problems contribute to home heating and cooling system inefficiency, call the Energy Experts at Alicia Air today. We service all of Orange County and surrounding areas, and are licensed, bonded, and insured. In fact, the Environmental Protection Agency (EPA) has determined that if everyone installing new heating and cooling equipment were to choose high efficiency, Energy Star labelled units instead of standard efficiency equipment over the duration of the next 15 years, that this decision would result in a reduction in air pollution levels which would be the equivalent of that produced by the removal of 10 million cars from our roads every year. Therefore, the choice to install an Energy Star rated, high efficiency HVAC system in your Placentia home has benefits which extend far beyond the walls of your home, where these innovative systems increase your family's year round comfort, as well as significantly lower your household utility bills. Don't let an inefficient home HVAC system contribute to excessive energy use in your Placentia home, or indoor air quality problems which adversely affect the wellbeing of your family members and guests. Call the Energy Experts at Alicia Air today to schedule an affordable whole home energy audit. The Energy Experts at Alicia Air are licensed, bonded, and insured.